Over 50 local politicians, business leaders and development officers met with representatives of TV daredevil Guy Martin this week after he revealed plans for an educational centre and residential park north of Lincoln. 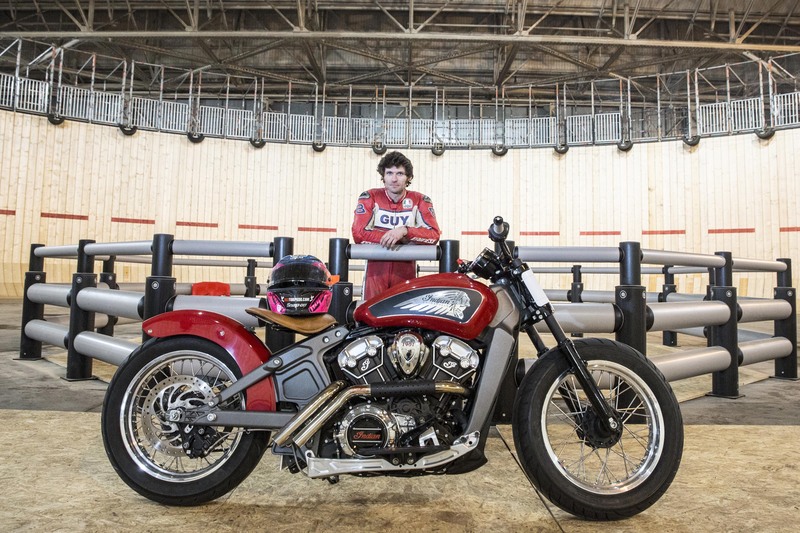 At the closed-doors meeting on Monday, March 6 at Lincolnshire County Council, involving Guy Martin’s agent and a Channel 4 production company, attendees heard about Guy’s latest venture: the Big Build. Lincoln Member of Parliament Karl McCarntey, who was present at the meeting, told The Lincolnite early stages of the Big Build outlined the possible creation of an educational hub that teaches youngsters through practical experience about engineering, mechanics and building. The project would possibly be established in an area near to Cherry Willingham and the north of Lincoln and hopes to help and encourage youngsters to become the mechanics and engineers of the future, through educational and apprenticeship tie ins with local businesses. Guy is said to be enthusiastic about exploring how businesses can showcase future technologies within the running of the park and for him to learn alongside the team. Channel 4 has already announced its intention to create a six part series, alongside the initial stages of the project, and the intention is to complete the preparatory work through 2017 and launch both the educational engineering park and the series in 2018. Lincoln MP Karl McCartney said: “This is a very exciting project that will introduce and encourage our youngsters into the engineering, mechanic and building sectors, which is why I am so grateful to Guy Martin, his agent Andy Spellman, and production company MD Neil Duncanson, for asking me to help them establish what, for the time being at least, we are still referring to as Guy Martin’s Big Build.